Who can qualify in Indiana for a sales tax exemption on utilities? A manufacturer, industrial processor, and a restaurant can meet the requirement to qualify for a sales tax exemption on utilities under Tax Code IC 6-2.5; and 45IAC 2.2. Therefore electricity, natural gas, and water may become sales tax exempt purchases in Indiana if electric, gas, or water or all are predominately used in the production of tangible personal property. How can one obtain the sales tax exemption on utilities in Indiana? The process of obtaining the sales tax exemption on utilities in Indiana starts with completing the special utility sales tax exemption form ST200. This form is specific to a particular utility meter used in production. Once the application is approved, an ST109 is issued and once filed with the respective utility company, sales tax is immediately eliminated from the utility bill. Does the State require that an ST200 be completed by a professional utility engineer? It is not a requirement that the sales tax exemption application be completed by a utility professional engineer. Since the exemption is at risk, most companies choose to have the work completed and certified by a professional experienced in the tax and utility study requirements of the application. Indiana has the predominate usage requirement. According to 45IAC 2.2 if more than 50% of a meter’s consumption is used for direct production of tangible personal property, the predominate usage requirement is met. The State requires that a predominate usage study be completed and submitted as an integral component of the ST200, Schedule E.
Schedule E must include two lists of items and related information. A detailed, accurate list of equipment used in production from a specific meter. The annual consumption of each piece must also be listed. The equipment listed as production must conform to the Indiana Tax Code definition of production equipment and its historical Administrative interpretations. A detailed and accurate list of equipment and all items on that same meter – that is not used in direct production. The annual consumption must also be included for each piece of equipment also. What is the professional’s scope of work? 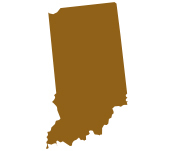 Accurate completion of the Predominate Usage study: Obtaining the sales tax exemption on utilities used in production in Indiana is a laborious task. The predominate usage is completed by OnYour Mark at no charge. Riskless Method to Obtain the Utility Sales Tax Exemption – in the shortest amount of time: On Your Mark provides the predominate use study at no charge. If the ST200 is not approved, and therefore no savings, there is no fee to the customer. On Your Mark only charges after savings are obtained for the customer. Benefits of the sales tax exemption on utilities: The sales tax exemption on utilities is typically worth a 7% savings once the sales tax exemption is approved. The sales tax is removed from the bill indefinitely. The exemption does not expire nor need to be renewed. Claim for refund: In Indiana, a refund may be claimed for sales tax paid on exempt utility meters. On Your Mark will pursue a refund vigorously and file a refund claim for the full period of the statute of limitations, 36 months, if a refund is applicable. Start the process now; spend no more time on it, and have it completed in 30 days. Contact Mark Winski today!